The Nairobi area is not the main tourist destination in Kenya: most tourists only use it as a hub to get to the national parks in the other parts of the country, and to the beaches. But as I wrote before, I think Nairobi is underrated. The area has great night clubs and enough interesting sights to visit. Right in the heart of the city are shopping areas and movie theatres. For the more cultured tourist, the Watatu Art Gallery and the National Museum are important Nairobi sights. Going a little farther out from the city center, you'll find the larger tourist attractions. The Nairobi area is filled with things to do and see. 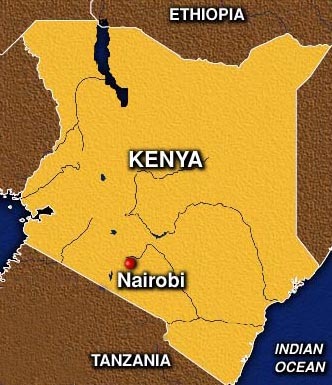 Nairobi is located in the south of Kenya, at an altitude of about 1600 metres. Nairobi National Park is smaller than some other (huge) Kenyan parks, but being just a few kilometres away from the city, there's a level of convenience that can't be beat. Don't let its location fool you. It's a complete wildlife park where you can drive around for days, and it’s home to lions, giraffes, rhinos, hippos and more. Only elephants you won’t find here. It’s vastly underrated. The Bomas villages just outside of the city are admittedly built specifically for tourists, but can still give you a great view of what traditional Kenyan life was like in the past, and how it still is for many of the nomadic peoples in the country. There are daily performances and dances by native people from many different Kenyan tribes. A little farther from the city itself, is the Ol Donyo Sabuk National Park. Only 56km away, it's still within the Nairobi area. Located next to the Kilimambogo mountain, you can see a whole new population of less-common African animals. This park is home to many monkeys, duikers, leopard and all kinds of species of birds. Be prepared for some natural beauty at the "14 Falls" of the Tana river. One of the reasons why Nairobi is pleasant to visit, is the climate. Smack dab in the middle of Kenya, the altitude keeps Nairobi much cooler than the rest of the country. The city is more than 5,500 feet above sea level and that makes all the difference. The temperature varies through the year, but the coolest time to visit would be in July and August. Highs are a tolerable 70F and it drops right down to 50F at nights. If you like the heat, plan your vacation during March or April. You can expect it to reach 78F during the day in those months. However, also take into account the rainy seasons. More on this on my page about the climate in Kenya. The cheapest transport options in Nairobi are the buses and the matatus. The difference between them is that buses are bigger and more official, while the matatus are private minibuses (but for public use). They follow the same routes. The matatus can drive somewhat recklessly, but it's much less than a few years ago due to increased government regulation. Don't use buses if you have a lot of luggage - getting on or off is almost impossible sometimes. The other option is taxis. However, negotiate your price before you get in. They aren't very cheap, due to high gas prices. A few miles within the city should cost 300 shilling (US$ 4) and for up to 30 minutes to or from the suburbs should cost around 1000 shillings (US$ 14). Be aware that there are traffic jams around 8-9 AM and 5-6 PM, and also within Nairobi many roads have potholes as well.